One of my favorite and easiest dinner's to make is a naan pizza! You could pretty much put any variation of ingredients onto the pizza and 15 minutes later it's ready!! I gave a little preview of the two types we made on Saturday night in my post yesterday and I'm sharing those two and eight other's that are going to become staples in your menu as well! All the ingredients for these two pizza's were bought from Trader Joe's including the garlic naan bread, which honestly added another level of amazingness these two pizzas! 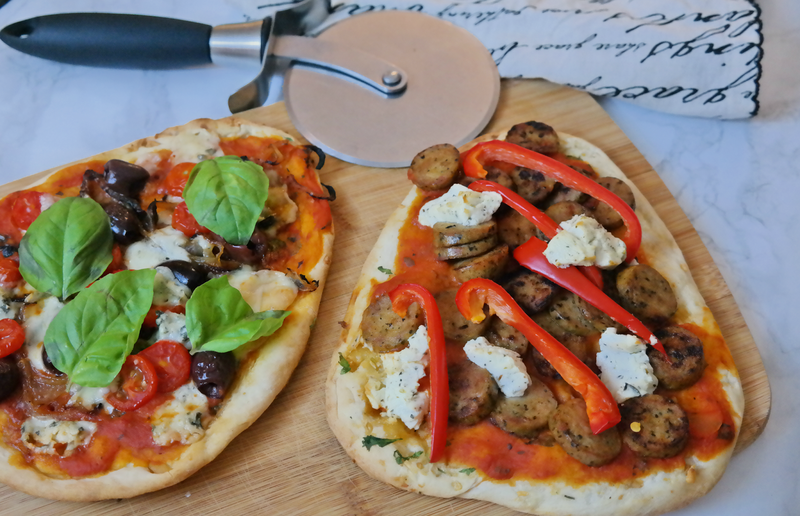 After we devoured these pizzas I was left wondering what other ingredients we could mix in the next time we make naan pizza at home and here's what I found! If there ever was a breakfast pizza - this would be it! If you're a fan of Indian food this tandoori chicken naan pizza is for you! A great alternative to Taco Tuesday with this Mexican Chicken variation! I think you might have a really hard time finding an easier dinner recipe to make like this Mediterranean Naan. If you're a fan of hummus this ones for you! This is the next one we are going to try!!! BBQ Chicken with a Malbec BBQ sauce...can you even imagine!? Mushrooms - check! Goat Cheese - Check! Balsamic Glaze - Check!! All that's missing is this pizza being on the menu for us this week! 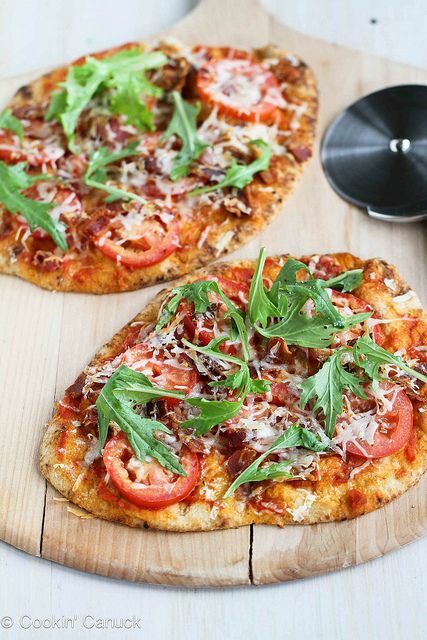 A new take on a sandwich classic - BLT with arugula naan pizza! 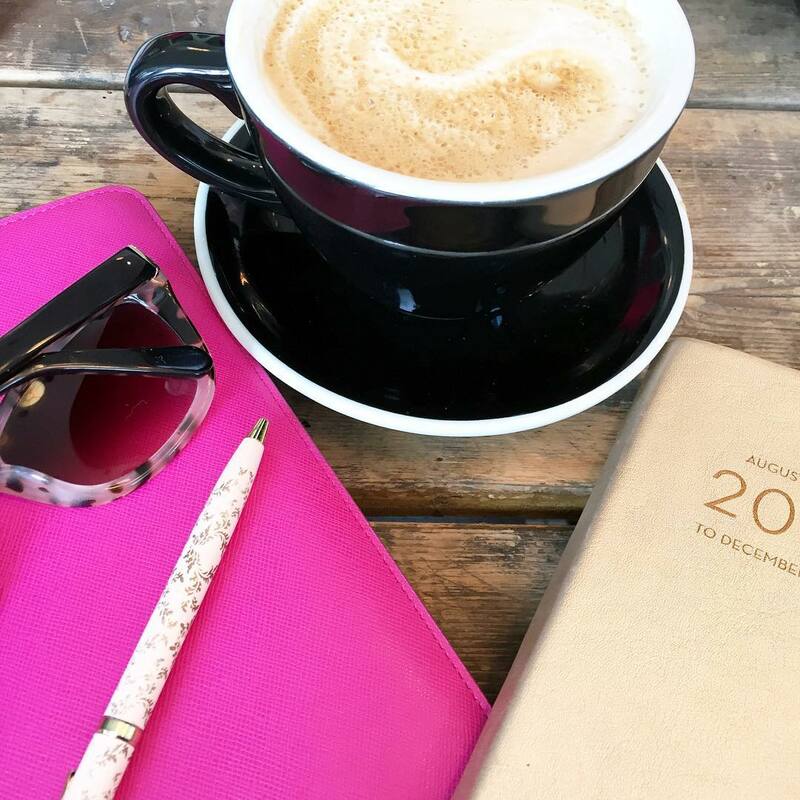 Rounding out this list with a summer staple!! Nothing better than grilled veggies, except when you add them to some naan bread!!! Gary was intently looking over my shoulder while I was putting this post together and basically asking when we can make another pizza at home! Do you have any favorite ingredients you like to add to naan bread? My husband and I are naan pizza fiends!!!! So delicious, so easy and pretty good macro wise, too. 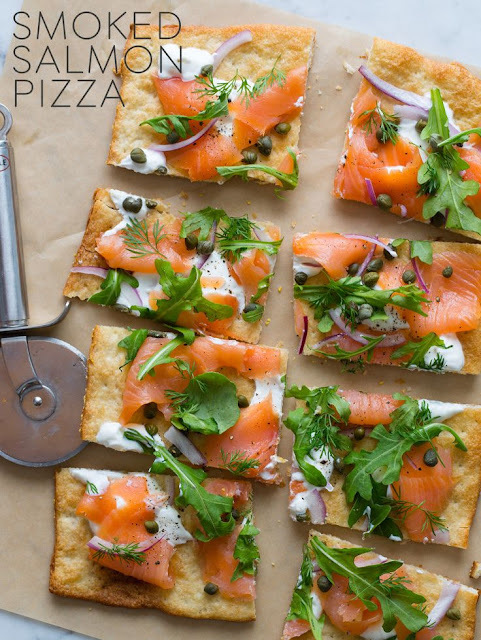 Mushroom, steak and goat cheese is my favorite but that smoked salmon pizza looks amazing. And now I want pizza this early in the morning ;)! OMMMGGGG gimme that turkey basil sausage one ASAP! It looks amazing! And so does that bbq chicken one. YUM! 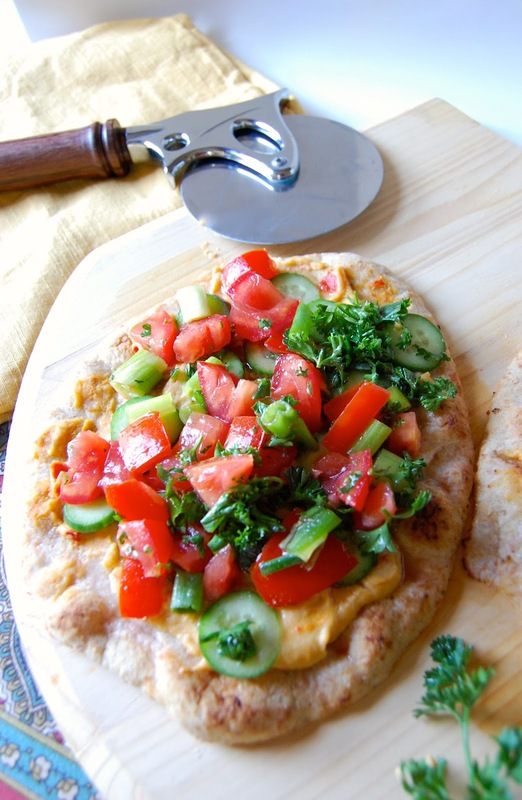 I love making homemade pizza but I need to try it with naan! SO yummy! I love the turkey basil sausage + goat cheese version, but I bet they're all good! Bookmarking!!! I've never cooked with Naan but these look amazing. Girl. You are KILLING ME!!!! Yum!!!!! I want to try this with these roasted sun dried tomatoes and garlic olives from this amazing market in Dallas! The BBQ one would be my choice too. Those sausage or chorizo would make it on mine too. I actually just bought Naan this weekend to make a pizza. We shall see what becomes of it. All of these look amazing! I never thought of using Naan for pizza. They sell it frozen at Trader Joe's. I will definitely be picking more up next time and trying some of these. All these recipes looks amazing. I've never used Naan before. I'll have to try it out. Great idea! I love naan and I love pizza so I don't know how I've never tried this before-- they all look so good! Especially the one with the olives and basil! These all look and sound SO delicious! I used to make Naan pizza's all the time before I was gluten free. They come out better than any other homemade pizza IMHO! You know out of all the things on my registry that I wanted was a pizza roller......and that was one of the things I didn't get lol. I think I need to go to bed bath and beyond today and make that happen as well as swing by Trader Joe's while I'm at it because these look so good! Holy yum!!! I've never really made a homemade pizza but this looks so amazing! I wonder if they have that bread at Publix? I hate that we don't have a Trader Joe's close! 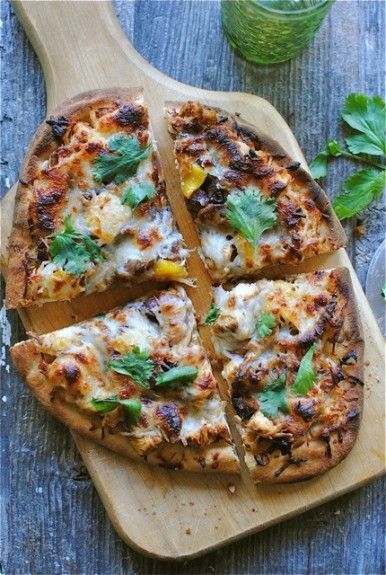 This is such a great idea since we love to make homemade pizzas! Now we can have our own! The Gorgonzola one looks to die for!! Mmmm, I bet the garlic crust does add an entirely new level of deliciousness! 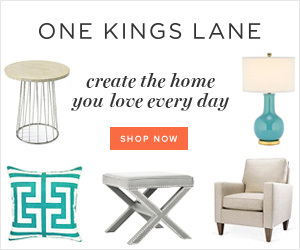 Girl you have me drooling - these all look and sound so good! They all look so great! I want to try the bbq chicken version stat! The goat cheese one looks delicious!! Actually...they all do! ok, i know what i'm making this weekend! choosing which one is the hardest part! I'm literally drooling right now at all these recipes - yum! I've never tried a naan pizza,but you can bet that I will now! These all look incredible! You're making me hungry! I have a bunch of naan in my freezer, I think I know what's for dinner this week now! These look amazing. I love naan and love pizza so it goes without questions that I can shove each of these in my face at any given time. i love naan so much.. and miss it! i haven't found a good GF option yet!! but next time i feel like it, i'll have to try making it into a pizza! These all look so so so delicious. Pinning for future reference. Ahh! They all look so amazing! 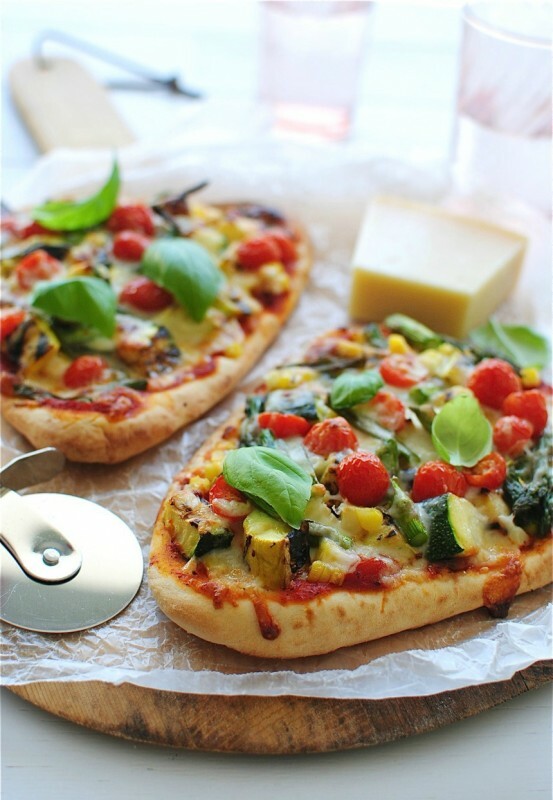 Naan pizza is my new thing too -- it's perfect for a quick dinner! I love the combination of mushrooms and goat cheese, but I think I will have to try that Turkey Basil Sausage with Goat Cheese for my husband! Thanks so much for sharing these! P.S. I downloaded the 7 minute workout app. Giving it a try tonight if I have time! :) Happy Tuesday! Thanks for the links! I'm a huge fan of naan pizzas. I did a simple pesto & cheese last Friday. These look awesome! Naan is heavenly - making a pizza out of it - even better! Trying out a few of the above recipes! OK-so I am not familiar with Naan bread! Do you find it at your regular grocery store? OH MY GOODNESS! THESE ALL LOOK AMAZING!!!! I saw you took a photo from Domestic Superhero. She SERIOUSLY has the best recipes! 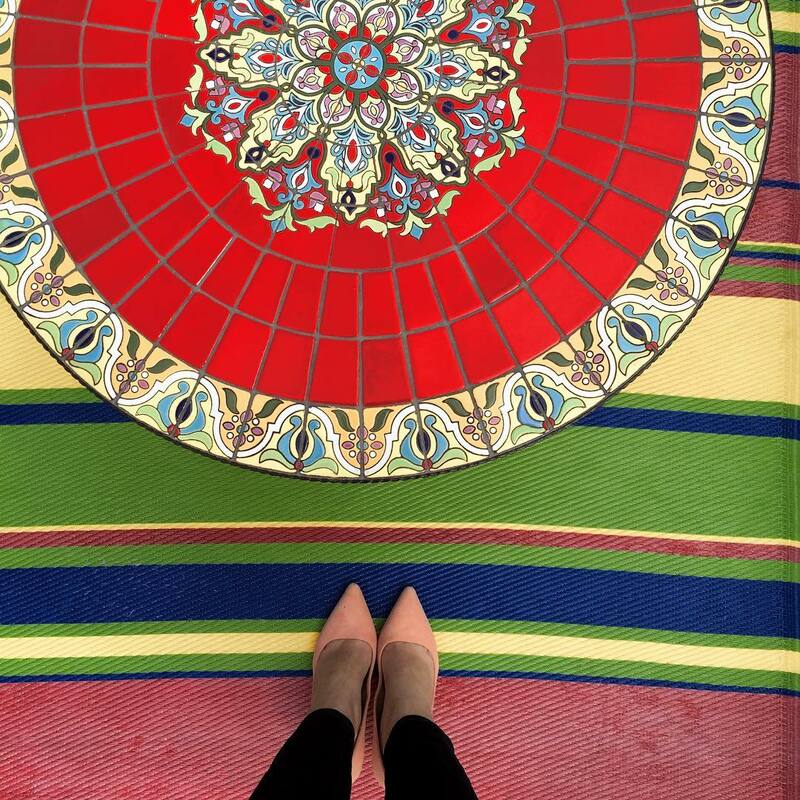 Everyone should be following her on pinterest. And I'd eat just about all of these variations... Except BBQ chicken pizza. Am I alone in not liking that... like, at all, not even a little bit? I know it's super popular. But it's just gross!! 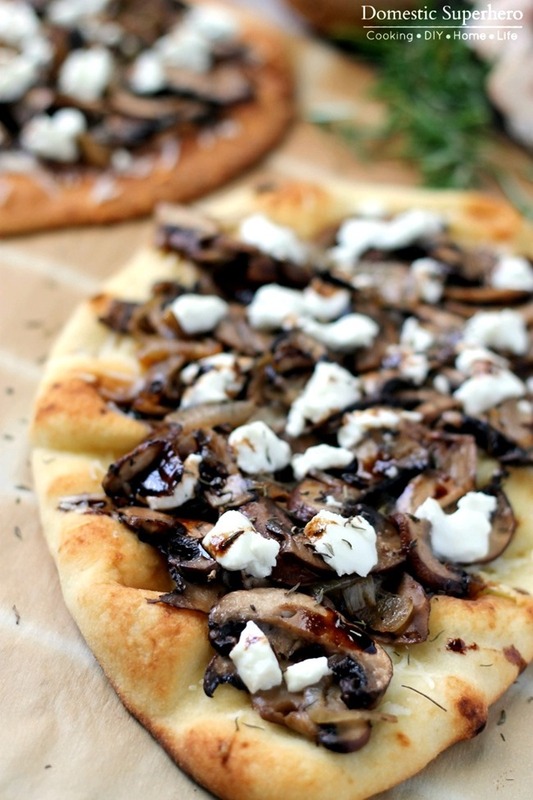 The mushroom pizza looks SO freaking good. I may have to try that while the boy is away! YOU'RE KILLING ME. Naan and Pizza are two of my favourite thing and combining them? Gahhhhh! Everything looks so good! I HAVE to try these out! 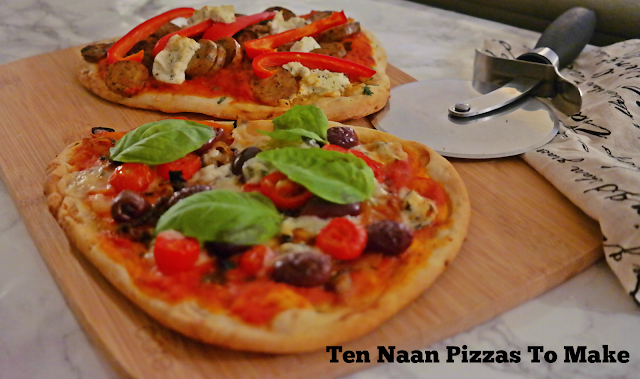 I love Naan and I love pizza... so why have I never tried them together??? The balsamic, bbq, and anything with goat cheese sound great to me! I told you where I was drooling over the flatbread pizza the other day... I am now craving pizza even more now!!! I've never tried naan but now I want to! What a great idea to make your own pizzas with it! I looove naan with butter chicken and never thought to make pizzas with it! Oh my goodness I love this idea! I fell in love with naan when I went to India a few years ago but I never thought to use it for a pizza! 100% doing this, thanks for the idea! I've never thought to make little pizzas out of naan bread but what a great idea!!! We are so doing this for a quick and easy dinner soon! This all looks so good! I am trying to seriously cut back on take-out pizza (it's a real struggle) and this is a great alternative. And much healthier I imagine! Thanks for sharing! These all look amazing!!! Is it lunch yet?! You have my craving a pizza so bad!! I love the idea of the naan bread! Oh my goodness man am I craving pizza now, they all look amazing!! 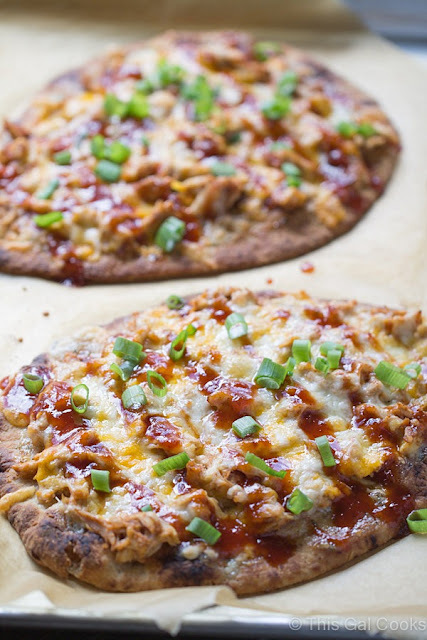 These all look so good, I'm a big bbq chicken pizza fan myself! I've never had a naan pizza before but these all like amazing! I'm going to have to try some now! Oh MY!! I love all of these..YUM! Oh my goodness!!!!!! You would post this one the week that I go grain free hahaha!!!! There is nothing better than a good naan pizza! I love just the classic (cheese and pepperoni) and then some fun ones like goat cheese or some pear and gorgonzola. I had one that had prosciutto on it with fig I think? Freaking delish!!!! dang girl - you have me wanting a flatbread or naan pizza now. Actually you have me wanting a pizza buffet cause I want them all. NOMSSS I love naan and this post just made me so hungry!! I love naan bread!!! We love to grill it with a little EVOO, Cavender's Greek seasoning and feta. Will def try some of these! Oooh these look good. 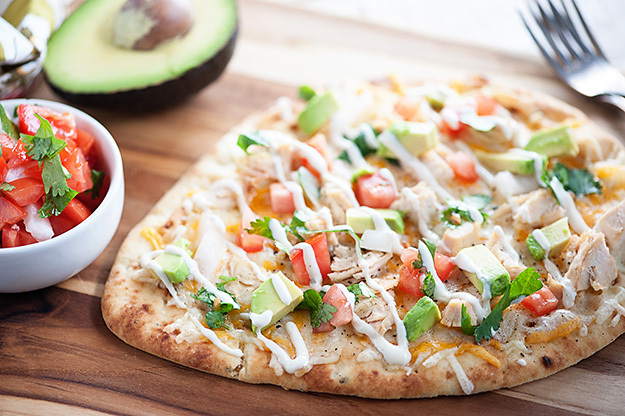 The Mexican chicken one reminds me of the California chicken flatbread pizza at Chili's. Drool! I'm going to have to check out some of these and add them into the dinner rotation! This post literally has me in heaven, naan and pizza, easily two of my favorite things! I can't believe I didn't think to this sooner. Thanks for sharing! Yum yum yummmm! These all look so good but the Mexi version is at the top of my list! We have yet to try naan pizzas. Every time I mention it to the hubs he balks at it. Probably not enough food for the large man he is. :) But I for one am going to pick up a package of naan the next time we're at TJs and try these out! And yes, that BBQ one looks so good! These all look amazing, but that BLT version? Oh.Em.Gee! Mmmm... naan is so good! I never thought to use it as a pizza crust! Thanks for this! Oh man they all look so good! Genius to use Naan as pizza crust.